the installation of traffic signals. Statewide Traffic Signal Company is committed to safety and training. We follow the guidelines set forth by OSHA and ensure that each employee stays current with the proper certifications required. Our employees share in on the responsibility of recognizing safety hazards, and we take steps to ensure that their input is recognized in order for all projects to be successful. We work together consistently to improve our standards, quality, and safety. Statewide Traffic Signal Company was founded in 1996 by the late Billy D. Ralls, an investor, entrepreneur and graduate of the University of Texas. Prior to his death, Billy appointed his son in law of nearly 30 years, Joe Spanos, as the President and CEO of Statewide Traffic Signal Company. Previous to this appointment, Spanos was the Vice President & General Manager of Statewide Traffic Signal Company. 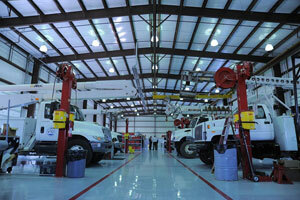 Statewide Traffic has built their team around family and close business associates. Statewide Traffic Signal Company is one of the highest leading and well respected traffic signal companies within the state of Texas. We are proud of the many years spent building our reputation with governmental entities within the state. Statewide Traffic’s mission is to install traffic signal systems in a safe, reliable and efficient manner. Of equal importance, our focus is providing service solutions to meet our client’s expectations. Since inception, we have completed over 100 million dollars of traffic signal projects, meeting our deadlines with a 100% approval rate. We are supported by our senior staff, having more than 80 years of combined experience in the installation of traffic signals. Our Long term client relationships are well preserved. Based on trust and mutual respect, we maintain the highest ethical conduct in our client relationships, as well as with our employees. Our employees are trained by well educated, experienced professionals in order to gain the expertise needed to do their jobs in a safe and efficient manner.